The Pentagon is poised to spend almost $1 billion for a range of robots designed to complement combat troops. From the spears hurled by Romans to the missiles launched by fighter pilots, the weapons humans use to kill each other have always been subject to improvement. Militaries seek to make each one ever-more lethal and, in doing so, better protect the soldier who wields it. But in the next evolution of combat, the U.S. Army is heading down a path that may lead humans off the battlefield entirely. 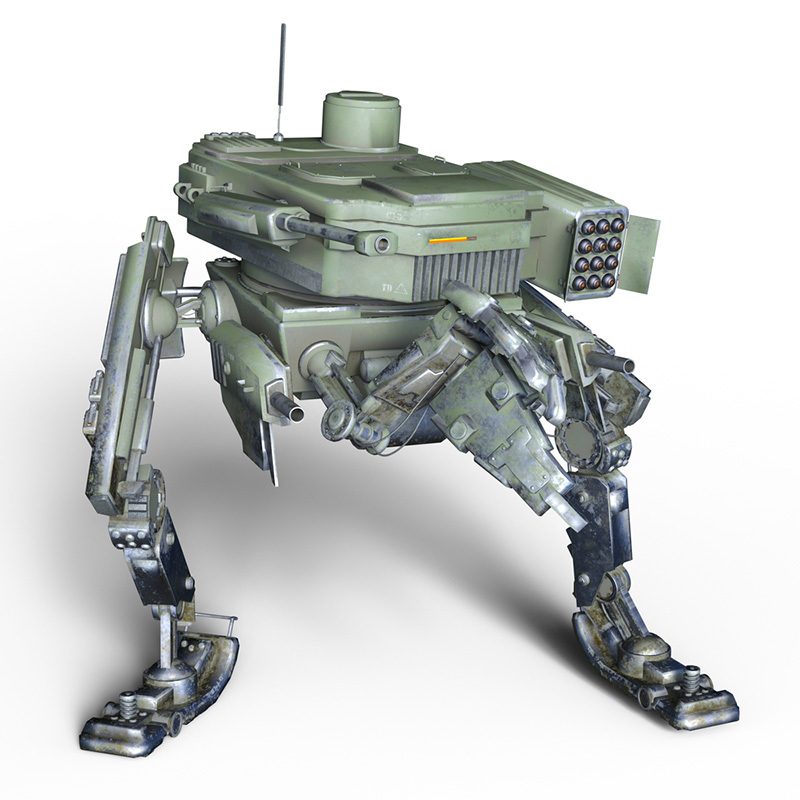 This is an artist’s conception of a battlefield robot. Amid their many capacities, none of the current or planned U.S. infantry robots is armed – yet. This strategy is also geared toward affordability. “If we want to change payloads, then we can spend our money on changing the payloads and not having to change the whole system,” he said. While it ramps up to use its newer robots, the Army will retain about 2,500 of the medium and small robots from the older fleet. Yet, depending on one’s perspective, machines that kill autonomously are either a harbinger of a “Terminator”-style dystopia or a logical evolution of warfare. This new generation of weaponry would be armed and able to “see” and assess a battle zone faster and more thoroughly than a human-and react far more quickly. What happens next is where the topic veers into a moral, perhaps existential, morass. Last year, 116 founders of robotics and artificial intelligence, including Elon Musk, the billionaire founder of Tesla Inc. and SpaceX, sent a letter to the United Nations urging a ban on lethal autonomous weapons. “Once developed, they will permit armed conflict to be fought at a scale greater than ever, and at timescales faster than humans can comprehend,” the letter stated, warning of a “Pandora’s box” being opened with such systems. To date, 26 countries have joined calls for a ban on fully autonomous weapons, including 14 nations in Latin America, according to the Campaign to Stop Killer Robots. Notably absent from this list are nations with robust defense industries that research AI and robotics-countries such as the U.S., Russia, Israel, France, Germany, South Korea and the United Kingdom. Not long ago, such futuristic software seemed, if not quite impossible, at least 30 years away. Given the pace of research, however, that’s no longer the case – a fact that has given the effort by Musk, Goose and others new urgency. “It seems that each year, that estimate has come down,” Goose said. Autonomous weapons systems are “years, not decades” hence, he said in an interview last month from Geneva, where a U.N. group convened its fifth annual conference on Lethal Autonomous Weapons Systems. Much of the recent discussion has focused on defining the terms of debate and where human control for lethal decisions should lie. There are also questions as to how quickly such machines will proliferate and how to deal with such technology in the hands of rogue, non-state actors. Over time, Goose said, the campaign will “convince these governments that every nation is going to be better off if no nation has these weapons.” But Scharre said there’s no chance the U.N. will agree to a legally binding treaty to ban autonomous weapons. He predicts that “a critical mass” of nations supporting some type of ban could pursue an agreement outside the U.N. While proponents may argue that autonomous robot soldiers will shield soldiers from harm, they will also remove the bloody consequences of armed conflict, a knowledge that “puts a valuable brake on the horrors of war,” said Scharre, a former Army Ranger.